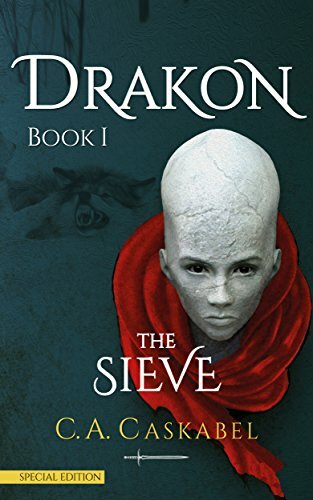 "The Sieve" is Book I of the epic fantasy novel Drakon. "I am here to redeem the lives of my wife and daughter. I've brought the offering." Da-Ren, an infidel barbarian, arrives at the Castlemonastery, his only offering a jar of honey. Baagh, the Cross Sorcerer, follows him there under orders of the Emperor, demanding from the monks to transcribe the warrior's story. Book I chronicles Da-Ren's early years, growing up in a tribe of archer riders and pagan witches, camped north of the Blackvein River. He enters the Sieve, the forty-day initiation trial that determines the fate of every boy and girl. Many of his comrades will fall, the strong will join the warriors, and an elite few will be marked for leadership. Da-Ren learns to endure the elements, to obey the Truths, to keep standing when all hope is lost. He swallows the legends of the Ouna-Ma witches, learns to hate all other tribes, and conquers fear. And yet there is one trial that will bring him to his knees. The Goddess's favorite daughter. "Brown-haired, brown-eyed. Brown was the first color of the day." The journey begins for the man who will become the First Blade of the Devil. A brutal, poetic, first-person narrative of war, death, and love.